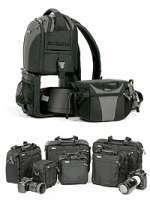 Think Tank Photo is a professional photography equipment manufacturer, creating innovative camera bags, camera cases, photo backpacks and beltpacks for Professional Photographers that use digital SLR cameras. Among their products I found two that are very interesting, rotation360° and Urban Disguise. With the rotation360°, in seconds a beltpack can be rotated from inside of the backpack to the front of the body, allowing photographers to access their gear stored inside without having to take off or swivel the entire backpack. Also, goal for photographers that are operating in urban and dangerous places is that their gear don't attract unwanted attention so it is recomended that they use Urban Disguise. Pentax Corporation is pleased to announce that it will market 5,000 sets of the limited-edition Pentax K10D Grand Prix Package to commemorate the Pentax K10D lens-interchangeable digital SLR camera's winning of the prestigious Camera Grand Prix 2007 Award in Japan. The Camera Grand Prix is held annually under the sponsorship of the Camera Journal Press Club, from Japan's 11 leading photo and camera magazines' photography writers. Camera owners usually compares EXIF (Exchangeable Image File) data to find the reason why some photos are good and others are bad. There are special programs that allows you to see EXIF data and there are some extension for your browser that allows the same thing. But what if you are not behind your computer and you just seen a very good photo? How you can find out what was the shutter speed or the aperture value? Now you can find that online. 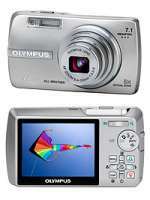 With the µ 740 and µ 750, Olympus presents the next level in stylish, compact digital photography that accepts no limits. Featuring a 5x optical zoom to bring even far away subjects in close, these cameras deliver performance that gives users amazing shooting versatility. 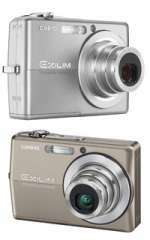 Yet despite this considerable boost in zoom power, there is no increase in the size of the cameras. Both these 7.1 million pixel models retain a sleek, ultra-compact design and weatherproof metal body, which are trademarks of the µ series. The µ 750 also boasts a further extraordinary innovation with the incorporation of Dual Image Stabilization for the ultimate protection against unwanted image blur. 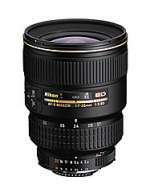 The Sigma Corporation is please to announce the new 18-200mm F3.5-6.3 DC OS lens. This high zoom ratio lens is exclusively designed for digital SLR cameras and is capable of covering a wide range of focal lengths from wide angle to telephoto. 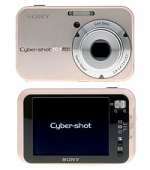 It is equipped with Sigma’s own unique technology OS (Optical Stabilizer) function. Boasting 7.1 million pixels, the camera possesses abundant resolution power for stunningly crisp and detailed images. The 3x optical zoom enhances flexibility by letting subjects be brought in close, while the high ISO setting capability of up to 800 makes great flash-free photography possible even when light is in short supply. A Histogram function enables exposure information to be displayed in shooting mode on the large 6.4cm LCD to give expert photographers the opportunity to fine-tune their shots for perfect results. Movie enthusiasts will cherish the possibility of capturing action with sound in VGA quality at 30fps. The elegant DSC-N2 camera debuts in champagne gold and is a ten-megapixel powerhouse with an extending Carl Zeiss Vario Tessar 3x optical zoom lens. With its built-in photo album function, this model can be a photo diary in your pocket, loaded with up to 500 of your favorite images. Every time you snap a picture, the DSC-N2 model will store a full-resolution image on the optional media card or in the camera's 25 MB of internal memory. Additionally, it automatically resizes that same image in VGA resolution and stores it in a portion of the camera's internal memory dedicated to pocket album. No matter how many pictures are offloaded from the media card, you can choose to protect the images you want to keep and, over time, you have a collection of your favorite shots in the camera. 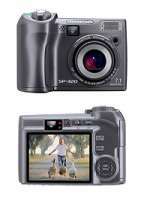 Featuring a slim, stylish look packed with superior functions like auto-tracking AF with motion analysis technology and a CCD-shift anti-shake mechanism it also incorporates CCD-shift image stabilization and the latest EXILIM Engine 2.0 image processing module with motion analysis technology. 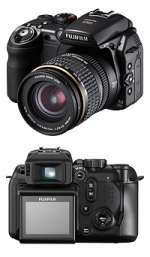 FujiFilm FinePix S9600 is the replacement for the older Fuji's model S9500. New S9600 features modifications designed to improve image quality as well as making it easier to use and better performing in low light. Refinements include increased image sharpness, a more generous LCD screen, faster autofocus in low light and improvements to the camera's flash capability. These features combine with existing Fujifilm technologies to result in user-friendliness more usually associated with compact digital cameras, and a performance to challenge entry-level digital SLRs. Nine megapixel S9600 comes with Super CCD HR sensor and Real Photo Processor, delivering IS0 1600 performance and enabling capture of crisp and clear images even in low light conditions. Lexar, a world leader in advanced digital media technologies, today announced the introduction of JumpDrive Secure II Plus, a sleek, high-capacity USB flash drive designed for safely storing, transferring, and sharing multimedia and more. It offers the same advanced security software as original JumpDrive Secure II, including 256-bit AES encryption, but now includes an innovative, built-in capacity meter for ultimate convenience. TIPA named "Best D-SLR Expert in Europe 2007"
Pentax Corporation is pleased to announce that the Pentax K10D lens-interchangeable digital SLR camera, first launched in the European market in November 2006, was selected as the Best D-SLR Expert in Europe 2007 by the prestigious Technical Image Press Association (TIPA). 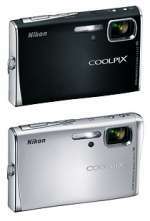 The selection was made because of the K10D's exceptional image quality and array of advanced features. >>more about TIPA named "Best D-SLR Expert in Europe 2007"
From soccer moms snapping still photos and movie clips of their kids from the sidelines with a single digital camera to party-goers wanting to capture important moments on the social scene with a discreet digital camera that can unobtrusively slip into a clutch purse or shirt pocket, Canon's market-leading line of PowerShot cameras fits any lifestyle. Nikon has added two new stylish and feature-packed digital cameras to the Nikon CoolPix Style Series line-up, the S50 and S50c. These cameras combine enhanced imaging quality and performance with an eye-catching wave surface design. The CoolPix S50 and the CoolPix S50c boast 7.2 effective megapixels, a 3x Zoom-Nikkor glass lens and a huge, bright 3.0 inch LCD screen. These cameras also utilize an Optical VR Image Stabilization system, ensuring the consumer will be able to capture stunningly sharp images. What's more, the CoolPix S50c also offers the additional advantage of a built in Wireless capability for e-mail and image storage with the enhanced CoolPix CONNECT 2 service, including the ability to send images to Flickr, the premier photo-sharing community. The AF-S Zoom-Nikkor 17-35mm f/2.8D IF-ED is an ultra-wideangle zoom lens that offers a range of professional-level features for overall superior performance. In addition to boasting the shortest closest-focusing distance in its class - 0.28m (0.9 ft.) throughout the entire zoom range - the lens also features a fast constant maximum aperture of f/2.8 at all focal lengths. 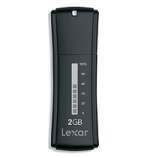 It is ideal for photojournalism and general professional-level photographic needs.